are the continuous and necessary fuel to his successes. The commission process is exciting and simple. Following your inquiry and confirming your interest, Michael will reach out to coordinate a time that works best with your schedule; this meeting can be completed via phone or in-person. 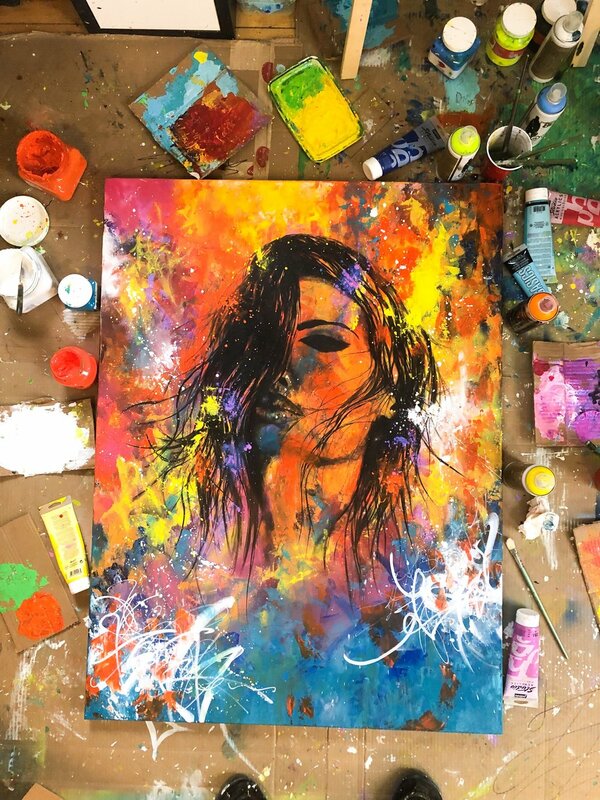 During your meeting, Michael encourages you to surface any idea that comes to mind; colors, imagery, emotions; everything you've envisioned for this piece. Before Michael begins painting - he kindly requests a down-payment (50% of the confirmed price; check or cash)- before getting started. The down payment ensures the highest quality oil-paints and finest cotton-stretched canvases as the foundation to your piece.